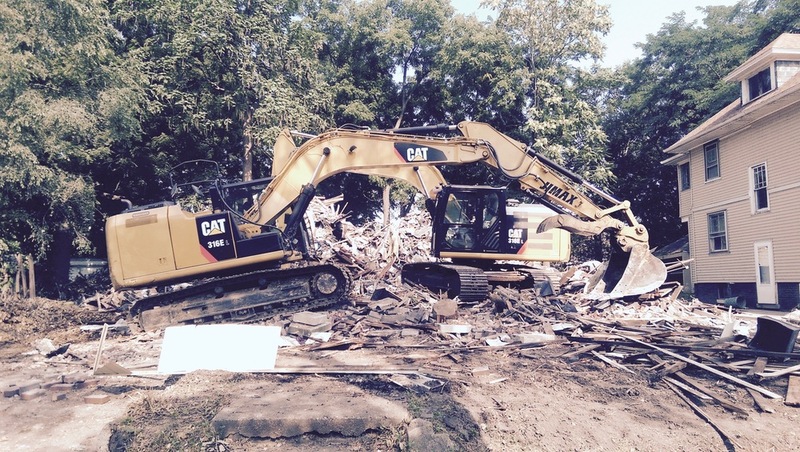 Based in Peoria, IL, JIMAX is the premier landscape and demolition contractor for Central Illinois. 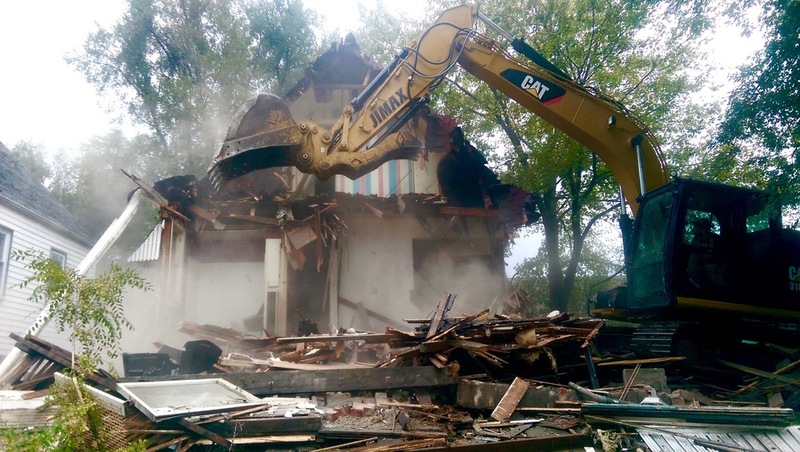 JIMAX is a Peoria based General Contractor specializing in demolition, tree removal, landscaping, emergency demolition, lawn care, herbicide application, snow removal, excavation, grading, sewer and water, site work, water management. These services are performed for residential, commercial, industrial, and muncipal sectors. We maintain our own fleet of equipment as well as experienced and reliable employees. With this, we are able to complete projects efficiently, on time, and on budget from mobilization to completion. JIMAX Landscaping has been closely tied with the community since it was founded in 2004. For over 10 years, we have provided expert landscaping and lawn care services as well as fast and reliable snow removal to the Dunlap and Peoria communities. We continue to become more efficient and are always looking for innovative ways to deliver quality results to our customers. JIMAX Demolition has expertise in coordinating, permit processing, engineering, and onsite management. 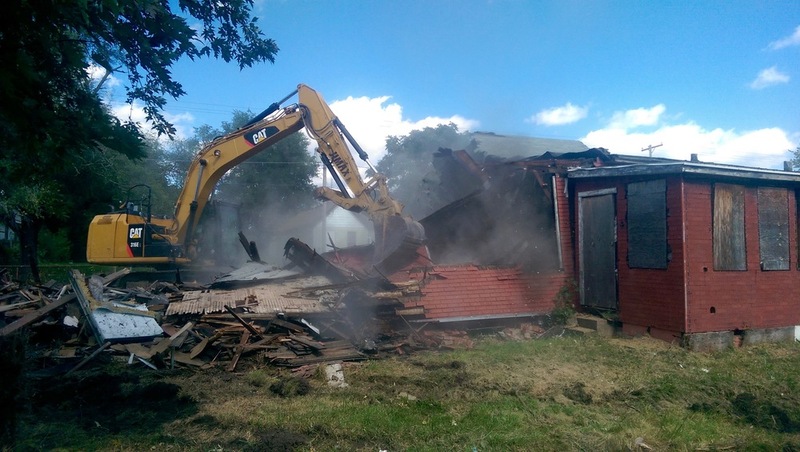 We currently hold multiple contracts with the City of Peoria, including being the only company that holds the emergency demolition contract; we have demolished over 600 houses in Illinois, JIMAX provides all the professional experience necessary to satisfy any project schedule under any conditions. In 2004, James Kosner founded JIMAX Landscape, a residential landscaping company based in Downers Grove, IL. JIMAX was relocated to Peoria, IL in 2007, where he graduated Dunlap High School. From there he attended Illinois State University where he studied Building Construction Management. In 2013 JIMAX Landscape was converted to JIMAX Landscape LLC when James partnered with Jarrod Martis, our vice-president. In addition to overseeing JIMAX Landscape, Martis is our expert in-house mechanic and regularly uses knowledge gained at the University of Illinois, where he studied mechanical engineering and has performed agricultural research in conjunction with UIUC and the USDA. JIMAX continues to grow through acquisition of commercial accounts, working with local builders, performing more in-house work, and growing our relationships with the communities. We continually invest in new equipment, technology, and landscape techniques to better serve our customers and look forward to continued improvement in the future. JIMAX is the only company or municipality in Central Illinois to invest in the Trimble Technology Weedseeker Selective Spray Technology. JIMAX also owns and operates a Perma Green Ride ON Sprayer Spreader. JIMAX Landscape LLC maintains a Drug Free Workplace through pre-employment screens as well as randomized testing through MEDTOX Laboratories. Safety training is emphasized at the beginning of each season with several days dedicated to review and implementation and meetings are conducted weekly by the crew chiefs with their crews to reiterate these points. JIMAX Landscape LLC maintains long standing relationships with several high volume customers in and around the Peoria area. Our focus is and has always been on providing the customer with high-quality, timely service to meet any need they may have. Our slogan continues as "all things outdoors." We have provided final grading, sod, and seed installation and landscaping on local Peoria contractors' houses since 2012, working closely with city officials to complete projects in a satisfactory manner. In addition to these commercial clients, JIMAX has provided services to localities in the are for years, including City of Peoria code enforcement, Public Works, and emergency tree work. Illinois Central College and the cities of East Peoria, Pekin, Peoria Heights, Rockford, Joliet, Creve Coeur, and Washington regularly solicit similar services with JIMAX. We currently hold commercial licensing for Applicator, Operator, Right of Way, Ornamental, Turf, Aquatics, and Mosquito Abatement.